what a colossal mistake. colossally bulky crotch. i had intended to make loose linen cropped pants and even drafted the pattern, bought the fabric and notions, and did all my due diligence. where did i go wrong? 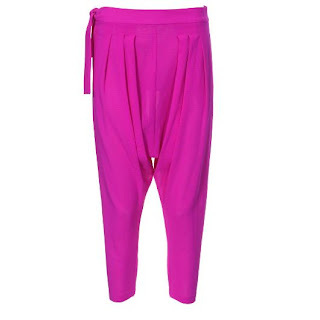 well, i was seduced by a pair of sarouel pants in the may issue of burda. 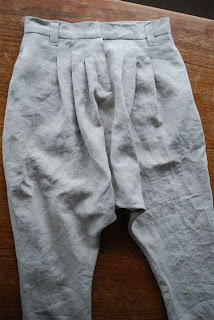 instead of continuing on with my original pattern, i made the sarouel pants in linen despite the instructions which clearly stated 'cotton gauze'. 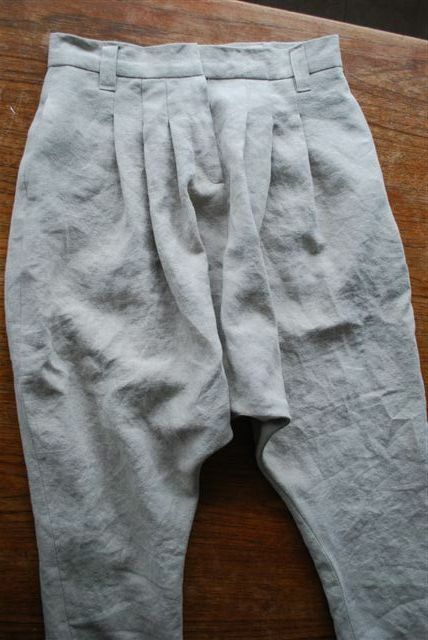 so now i have a pair of well-made linen pants fit for a clown. 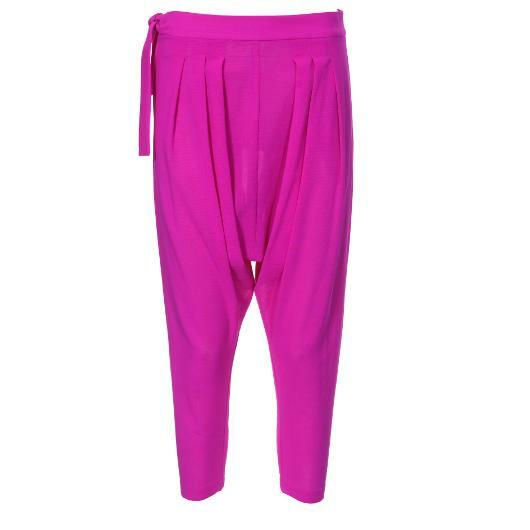 or mc hammer at his peak.